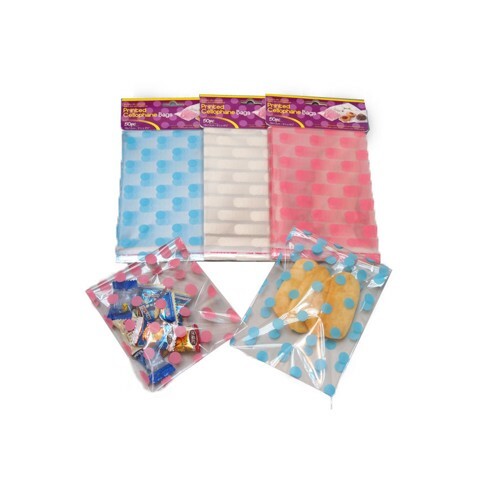 Cellophane Bags Dots 12X16Cm 50Pk. 16cm Length x 12cm Width. Dotted Design: Pink | White l Light Blue. Cellophane. 0 Packaging: OPP Bag with Header Card.